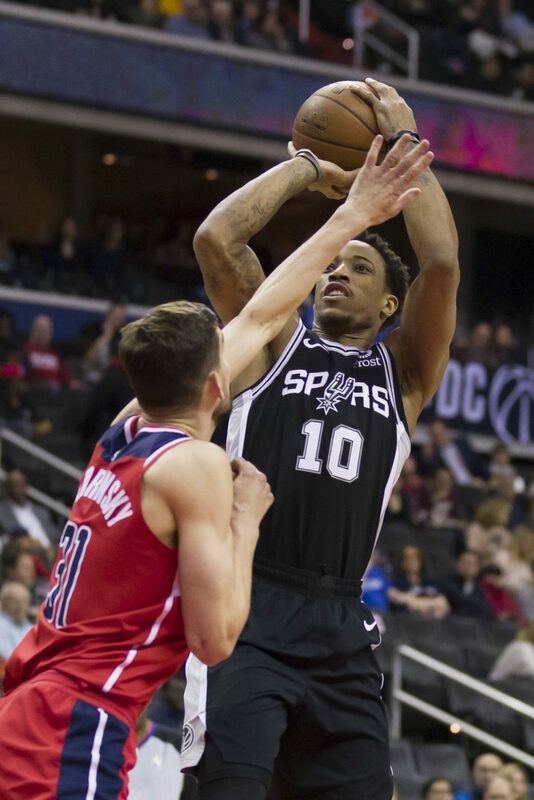 WASHINGTON — LaMarcus Aldridge scored 24 points, Rudy Gay added 18 and the San Antonio Spurs beat Washington Wizards 129-112 Friday night. Wizards: F Jabari Parker missed the game with a sprained left knee. .. F Trevor Ariza, who has a strained left groin, is not with the team for personal reasons, coach Scott Brooks said. . F Jeff Green, who hadn’t played in the last four games because Brooks wanted to see other players, scored 14 points in 22 minutes.